Styled with natalie short . 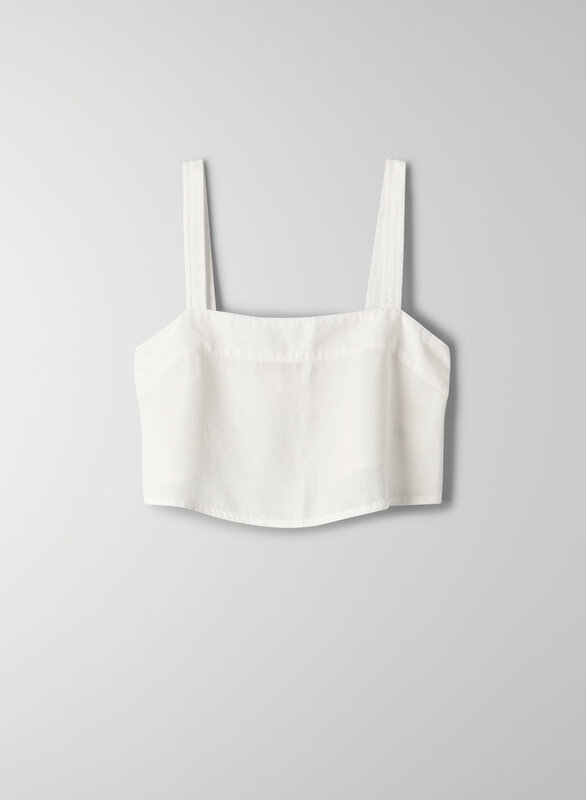 This is a cropped tank with a subtle open back. It's made with a drapey TENCEL® lyocell twill that's super soft.